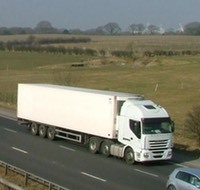 Lorry and bus drivers are required to have medicals throughout their careers due to the size and weight of the vehicles involved and also the length of time they may spend at the wheel. a) When you first apply for your provisional Category C1, C, D1 or D licence. a) The £60 fee. A receipt will be given.